Snow on the ground, cold temperatures and gusty winds; it looks like old man winter has decided to come early this year. Early signs are pointing to it be a harsh winter like last years. Which begs a question: Is your home prepared for winter? 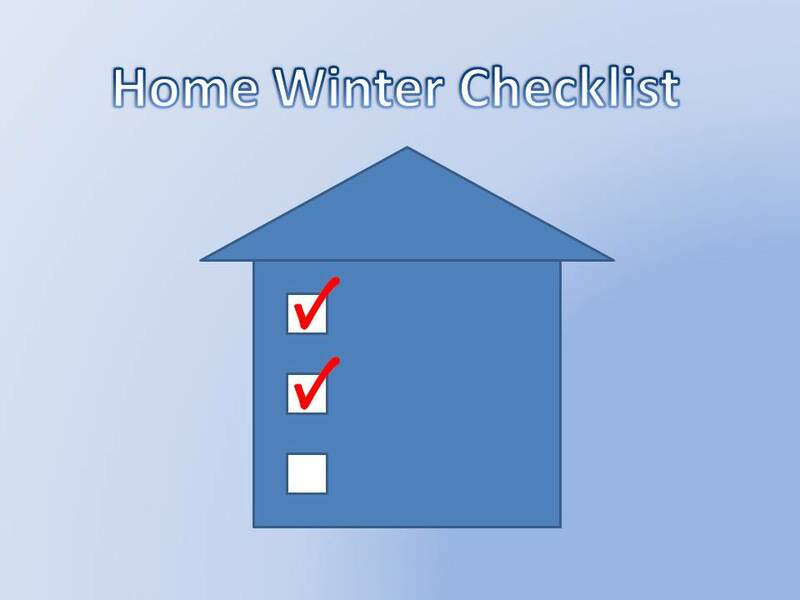 Here is a checklist of steps to help get a home ready for the winter season. Stop icicles and dams from forming – icicles are a sign of a lack of insulation and proper air sealing in the attic and could lead to ice dams that stop the flow of water which could flow into the home. Here is a list ways to prevent icicles and ice dams. Inspect your roof – look for loose or missing shingles, leaks around skylights or vents, and flashing on chimney. Basically look for any area that could cause water to enter the home and seal the areas that look problematic. Clean the gutters – check the gutters and see if they are clear for water to drain and if there are any droopy or loose gutters that could fall during a heavy snow. Also, check the downspout and make sure it is diverting water at least 3 – 4 feet away from the home. Check outdoor faucets – drain outdoor faucets to prevent any damage to pipes and for older homes without frost-proof faucets, turn off the shut-off valve inside. Also, detach hoses and store them inside to prolong their life. Prepare outdoor winter tools – swap out summer gardening tools with snow shovels, scrapers, and picks. Also, prepare the snow blower by changing oil, spark plugs, etc. Check lights and handrails – Change any outdoor lights now before it gets icy and unsafe. Also, check handrails and make sure they are sturdy for the dark and icy nights ahead. Check your furnace – have your furnace inspected by a professional to make sure it is running properly and safely. Check out our Furnace Inspections: Keeping it running Efficiently and Safely blog to learn more. Insulate and air seal – keep the weather outdoors. Make sure your home is properly air sealed and insulated, common places to air seal are around windows and doors. Reverse ceiling fans – keep ceiling fans running year round by reversing it in the winter to blow warm air down. Chimney Sweep – Check the chimney to see if it is clean and in good working order. This can prevent chimney fires and stop carbon monoxide from creeping into the home. If planning on not using the chimney, invest in a chimney balloon to plug the chimney and avoid heat loss. There are more items that could be added to this list, but this is a good start to preparing your home for the winter. 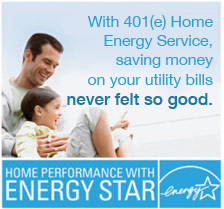 If you have any questions about these improvements or would like to have a home energy assessment, contact 401(e).